Alien Flora Futura is a flanker that actually smells like the original (can’t say that about other designer perfumes like Bvlgari Omnia). The opening has a zesty citron (really smells exactly like zested Buddha’s hand!). This adds radiance to the white floral. I can not emphasize enough how much I love this citron note/opening. The heart is an abstract white floral. It’s reminiscent of jasmine, but it’s never really ever 100% jasmine. It’s like a luminous white floral with green leaves and a peppery freesia. It’s extremely abstract (and I’m such a sucker for an abstract floral, it’s the reason I like Narciso Rodriguez perfumes so much). In comparison to the original, Flora Futura is brighter, greener and crisper but it’s still a radiant, white floral. The most notable difference is that Alien is warm while Alien Flora Futura is cooler. The dry-down of Flora Futura has that luminous milky-woodsy-amber (AKA cashmeran and I suspected some ambroxan) that you’d expect from an any Alien. The differences include a green, watery bamboo-like accord. In comparison to the original, Flora Futura is much more subtle. For lack of a better description, it’s almost like a sanded version of the original. It wears softer and smoother. If you read EauMG, I know what you’re probably thinking? “You’ve described how it’s similar/different to Alien, but how is it different from let’s say something like Eau Extraordinaire?” That’s a great question. Flora Futura isn’t powdery and lacks any of that “tropical” tiare-like notes. It’s also less sweet than the original or Eau Extraordinaire. I’m going to say something grand – Flora Futura is my favorite from the Alien franchise. I love the zingy citron opening and the fact that it’s almost like an oasis in the desert (green, cool but still radiant). It’s “softer” so I feel like it’s something that I wear and it doesn’t wear me. Now if you have any of the others, do you need this one? Probably not. They’re all similar enough/related. I totally get if you are a collector or like the idea of Alien but want something “updated”. Mugler Alien looks good in both amethyst and rose quartz! 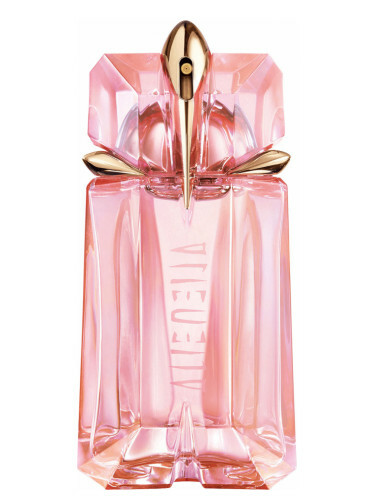 Give Alien Flora Futura a try if you like abstract floral perfumes or if you’ve ever wanted a “lighter” version of Mugler Alien. Or if you like perfumes like Guerlain Terracotta Le Parfum, Florascent Jasmine, Paco Rabanne Olympéa Légère, Armani Sun di Gioia and/or Gucci Rush. In comparison to the original Alien, projection and longevity is below average. However, compared to regular ‘ole perfumes, projection and longevity are average. Alien Futura Flora is currently available in two sizes with the 2 oz retailing for $84 at Nordstrom and Saks. Victoria’s Final EauPINION – Oasis in the desert. It’s the Alien you know but sanded with more citron and greens. ¹Have you guys noticed how “cactus blossom” is popping up in a lot of designer perfumes and beauty products now? (Things like Proenza Schouler Arizona, Kiehl’s Cactus Flower Mist and Pacifica Cactus Water) and I know succulents are having a moment on Instagram, home decor blogs, etc. but I really didn’t expect this to cross over to perfume too! *Disclaimer – Product provided by the brand. I am not financially compensated for my reviews. My opinions are my own. Product pic from Fragrantica. 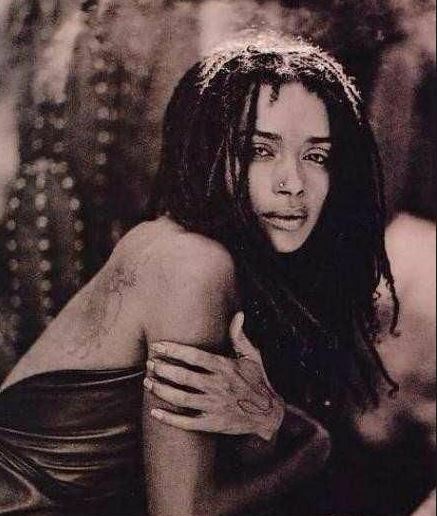 Lisa Bonet pic from fanpix.net. Post contains affiliate links. Thanks! This sounds really perfect for summer! Hopefully the Nordstrom’s nearby will have it so I can give it a try; their perfume selection is not as large as other Nordstrom’s. They should be getting it soon. (Or I’d think!) I see it being a good seller for the summer months, so you’d think they’d get it in stock ASAP. I did see at out at Saks here, but I don’t remember seeing it at Nordstrom. I know they probably aren’t going to do this but I’d love this fragrance as a shower gel too. Until then, I’m searching for some yuzu/citron shower stuff for summer. This perfume has reminded me that this is a note I love but never wear.